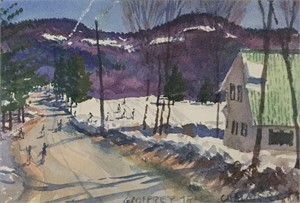 Geoffrey Teale Chalmers is a Boston based painter of New England and other American scenes since the early 1980s. 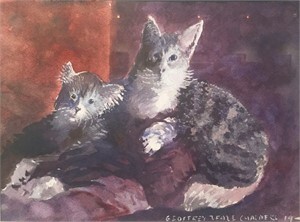 A graduate of Harvard College, Mr. Chalmers' early study was with the noted New England impressionist painter, Henry Hensche of Provincetown, Massachusetts. 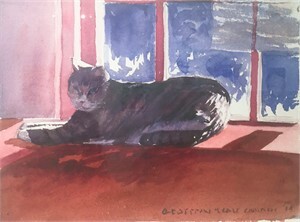 He also studied briefly with several Boston area artists. Mr. Chalmers specializes in impressionist landscapes and seascapes from New England, Florida and the West Coast. 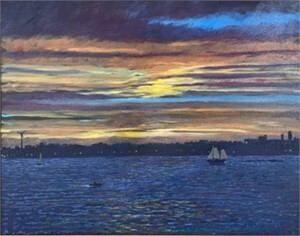 Mr. Chalmers is represented by the Copley Society of Boston (since 1980) and other New England galleries in the greater Boston area and the Cape and islands, as well as galleries in other U.S. locations. He holds the designation Copley Artist, having been juried into numerous Copley shows and won awards. 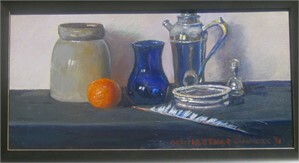 Mr. Chalmers’ work can also be seen in many local galleries. Mr. Chalmers was chosen to provide the 1993 Boston Marathon poster image. He has provided the image for a number of other events, including the Head of the Charles, the Boston US Pro tennis tournament, Fenway Park (Dom DiMaggio) and the Honolulu Marathon ( 1998- 2004). Many of Mr. Chalmers' paintings are reproduced as posters and prints sold in retail stores around the country. His paintings are also in a number of corporate collections, including BankAmerica, New England Life, John Hancock, Liberty Mutual, LPL Financial and other Boston area businesses as well as numerous private collections. 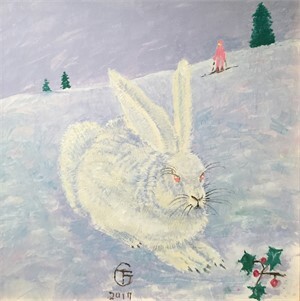 View more of Geoffrey Teale Chalmers's Paintings on our marketplace. Geoffrey Teale Chalmers Geoffrey Teale Chalmers is a Boston based painter of New England and other American scenes since the early 1980s. 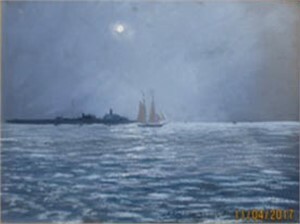 A graduate of Harvard College, Mr. Chalmers' early study was with the noted New England impressionist painter, Henry Hensche of Provincetown, Massachusetts. He also studied briefly with several Boston area artists. Mr. Chalmers specializes in impressionist landscapes and seascapes from New England, Florida and the West Coast. 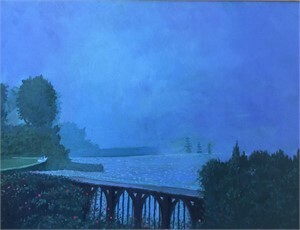 Mr. Chalmers is represented by the Copley Society of Boston (since 1980) and other New England galleries in the greater Boston area and the Cape and islands, as well as galleries in other U.S. locations. He holds the designation Copley Artist, having been juried into numerous Copley shows and won awards. Mr. Chalmers’ work can also be seen in many local galleries. Mr. Chalmers was chosen to provide the 1993 Boston Marathon poster image. He has provided the image for a number of other events, including the Head of the Charles, the Boston US Pro tennis tournament, Fenway Park (Dom DiMaggio) and the Honolulu Marathon ( 1998- 2004). Many of Mr. Chalmers' paintings are reproduced as posters and prints sold in retail stores around the country. 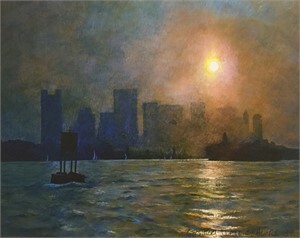 His paintings are also in a number of corporate collections, including BankAmerica, New England Life, John Hancock, Liberty Mutual, LPL Financial and other Boston area businesses as well as numerous private collections. View more of Geoffrey Teale Chalmers's Paintings on our marketplace.